I am always looking for something to tire my son out of his boundless energy each day and when some friends here mentioned this festival, I needed little convincing! I might have mentioned it previously, however I love Vancouver for the very fact that it does cater to children at all ages with so many activities, places to go and see as well as this spectacular festival. 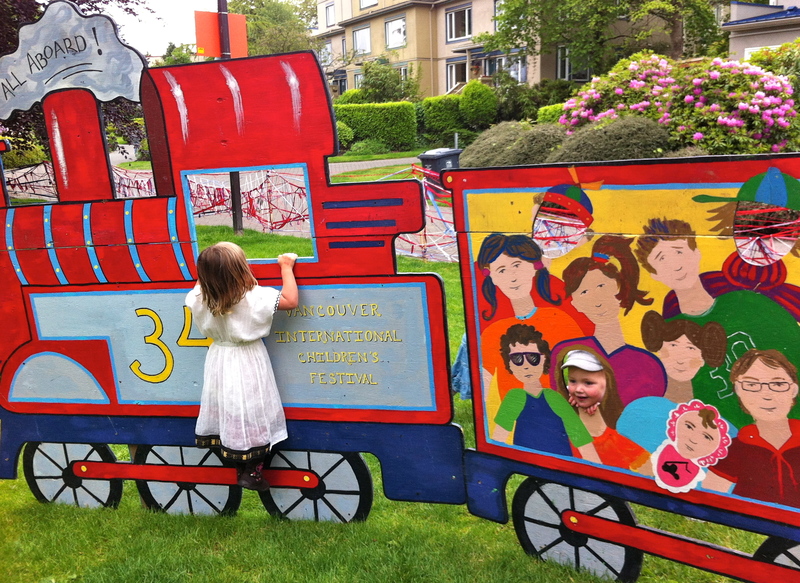 The Vancouver International Children’s Festival has been running since 1978. It only moved recently to Granville Island in 2011 as there is more space and they can provide technical support for some of the performances within the theatrically equipped venues here. They are still logistically fine tuning the organisation and set up of entertainment and tents each year from what some Vancouverites have told me but all in all the location is perfect with plenty of outdoor space too. The Vancouver International Children’s Festival Society is a non-profit charity and the acts and entertainment run at the end of May to early June for just under a week. Tickets are very reasonable, between around $16 to $22 for most performances and there are cooking classes with Edible Canada for about $10 and all other activities in tents are free with performance ticket so it is really easy and accessible. Some that my three-year old enjoyed were the ‘Shadow Puppetry’ tent (story telling with shadow puppets while someone is playing guitar), the twist being children on the other side were working the puppets! He liked the Bicycle spin-art, Sock it to me – making puppets out of socks, Twist and Toddle tent for 0-5 year olds and Soundscape where he could crash, clang and rattle his way through an interactive sound environment. The performance I booked was an act from Italy and moving around the globe at many large festivals – L’Elefantino or ‘The Little Elephant‘. This was inspired by Rudyard Kipling’s The Little Elephant, it is an inventive jungle adventure using only a clothesline, stockings/basket of laundry and a few clothespins. It is a story of the first elephant ever to have a trunk. There were many giggles in the audience including my son’s infectious laughter which made for a very fun hour. This experience was an excellent day out, the only negative was my son was so exhausted that he didn’t quite make it home without falling asleep on me…gorgeous little lump he is!